The Trump administration’s opposition to legal abortion just became more aggressive. Reuters reported on Tuesday that the U.S. will expand its “global gag rule,” which prevents the aid groups it funds from performing abortions and even advertising the abortion services of other organizations. “We will refuse to provide assistance to foreign NGOs that give financial support to other foreign groups in the global abortion industry,” Secretary of State Mike Pompeo said. Pompeo also said he would “enforce federal law forbidding the use of U.S. funding, including foreign assistance, to lobby for or against abortion,” Reuters added. Republicans will likely celebrate the news. They’ve supported the global gag rule and its domestic analogues for decades. Sometimes known as the Mexico City policy, the global gag rule has haunted U.S. foreign policy for over 30 years. In fact, it was one of the contemporary anti-abortion movement’s earliest victories. Ronald Reagan created the rule in 1984; since then, it’s been rescinded by Democratic presidents and reinstated by Republican presidents, a back-and-forth game that leaves nongovernmental organizations in the lurch. The policy is meant to reduce abortions, but there’s evidence that it does the opposite. Two studies found that the gag rule actually coincided with an increase in abortions in sub-Saharan Africa and Latin America. That may be because the same family-planning clinics that would perform abortions, or tell patients where they could receive abortions, provide contraception, too. Considered against this evidence, that gag rule looks purely like a punitive measure. But there isn’t much reason to think that Pompeo prioritizes evidence-based development policy, or that the notion of punishing abortion-seeking women troubles him at all. He is a deeply conservative Christian who has opposed legal abortion for decades. As a Republican representative from Kansas, he voted for bills that would have granted personhood status to fetuses, defunded Planned Parenthood, and eliminated the Title X family-planning program. His abortion position stems from his religious beliefs, which he has frequently cited in the course of carrying out his duties as secretary of State and, previously, as the director of the CIA. 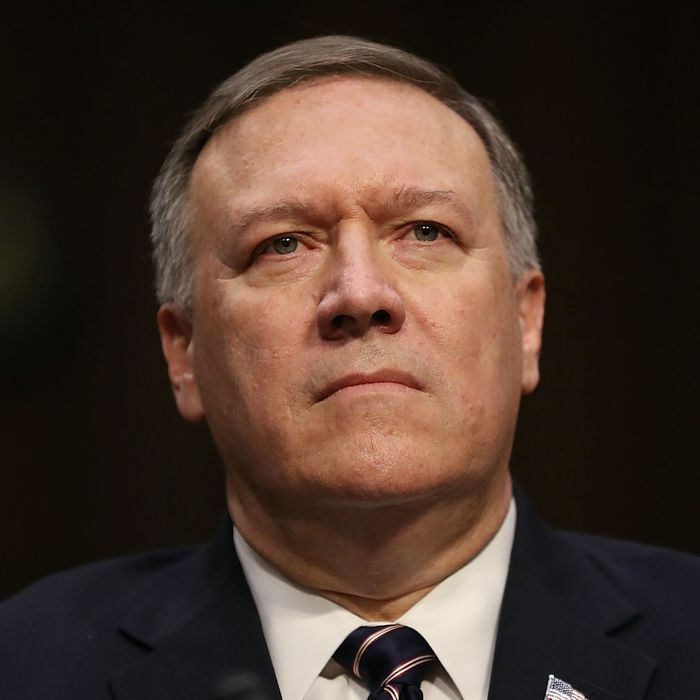 Sources told Foreign Policy in 2017 that Pompeo avoided attending diversity events at the CIA, and seemed hostile to affirmative action policies; the cancellation of a scheduled talk by Judy and Dennis Shepard, the parents of Matthew Shepard, raised further questions about the way he has melded his professional responsibilities with his personal beliefs. Pompeo has also expressed open hostility to Islam, framed the global war on terror as spiritual warfare, and urged conversion to Christianity as a means of winning that spiritual battle. Pompeo did not adopt subtler tactics when he became the secretary of State. He recently told the Christian Broadcasting Network that he believed it is “possible” that God appointed Trump to save Israel from Iran. He also continued a practice begun by his predecessor, Rex Tillerson, which removed reproductive rights from the department’s annual human rights reports. Tuesday’s announcement was probably inevitable — and so is the human suffering that will follow it.